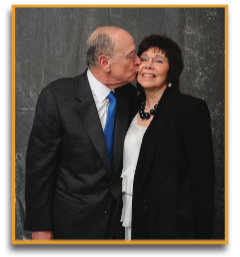 Dr. Stephen and Elizabeth Alderman are co-founders of the Peter C. Alderman Foundation. They established the foundation to memorialize their son, Peter, who died during the World Trade Center attacks. Since 2003, PCAF has worked with communities devastated by violence and armed conflict to strengthen mental health, recovery and resilience through transformative, community-based mental health and psychosocial programs. Today, Liz & Steve are recognized leaders in global mental health. Over forty years ago, Jack Porter and Bill Novelli realized that classic marketing disciplines could be reapplied to public relations communications to make a positive social impact on the world. Through the years, Porter Novelli has never veered from the idea that smart and nimble messaging driven by a deep understanding of a target and market challenges can influence the audiences who matter most to its clients.